Applications Engineers are key players in ensuring our customers' success by providing technical support and domain expertise. Application engineers provide reference application designs, aid in the development of customer applications, and provide post-sales support. 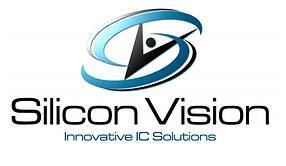 This role will focus on supporting Silicon Vision IP products. As an applications engineer you will aid customers in integrating/embedding Silicon Vision IPs into a broad set of applications, help to optimize the manufacturing process, and understand the customer requirements in order to communicate external needs back to Silicon Vision marketing and engineering teams. A fundamental understanding of RF and silicon is needed to field questions about silicon IPs development, optimizations, and yield improvement. Troubleshoot customer issues such as silicon damage during manufacturing. Document all phases of the design including requirements, specifications, plans, reviews, test procedures, and test reports. Support existing products. Investigate and determine root cause of product issues found in manufacturing and the field. Troubleshoot systems, PCBs, cables, and firmware. Identify, evaluate and recommend key suppliers based on electrical technical abilities, experience, history, and certifications. Provide technical guidance on schematic and PCB layouts using best practices at >900MHz. Provide technical guidance on RF antenna usage and impact to system link margins. Help educate our customers about new functionality of our IPs and the implications of physical and electrical design characteristics. Generate and maintain product datasheets, application notes and other documentation. Prepare and deliver presentations to internal and external audiences. Forge and maintain relationships with customers, especially within technical groups. Provide training and ongoing technical support. Train Field Application Engineers and Sales teams on new products and technologies. Demonstrate the market-leading performance of our IP products to potential customers and partners using reference designs, demo boards, etc. Represent customers' interests to sales, marketing, design, and manufacturing groups. Develop expertise on our IPs and competitive products in various applications' environments. Build knowledge base on the key applications for our IP products. Benchmark products against the competition. Maintain a knowledge base of best practices and frequently asked questions. Lead the resolution of customer issues. BSEE or related degree and 2~5 years of experience in RF/silicon/application engineering or related role, or equivalent combination of education and experience. 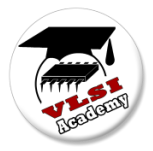 Basic knowledge and experience in software and scripting. Knowledge of basic design practices for silicon products. Knowledge of basic antenna design and real-world application tradeoffs. Familiar with basic radio communication theory and block level functions of transmitters/receivers such as filters, amplifiers, frequency generators, and mixers. Experience with the following test equipment: Logic analyzer, Vector Network Analyzer, Oscilloscope, and Spectrum analyzer. Demonstrated experience working directly with customers, mapping requirements into technical solutions. Solid skills in analog/digital design and test methods. Ability to take designs from concept to production having built a regulated product. Strong team leadership skills and the ability to work independently. Methodical, effective at troubleshooting. Good problem solving skills (root cause analysis). Able to document designs including: system requirements, theory of operation, schematics, interconnect diagrams, test procedures, test reports, risk analysis, and failure analysis. Schematic capture and PCB/PCA design skills. C level programming experience. Some experience with Assembly and mixed C/Assembly desired. Experience with 8051, AVR, MSP430, and ARM-Cortex MCU preferred. Experience with DSP processor architectures and FPGA is a plus. Experience as a project team lead and project technical team lead preferred. Working knowledge of EMI reduction techniques preferred. Excellent written and verbal communication in English, presentation, and interpersonal skills. Willingness and ability to travel including international travel. Room for career growth and external training. Interested candidates should send their resumes to careers@si-vision.com. Please include “HAE001" only in the e-mail subject.